Zetor have been producing tractors in Brno, Czech Republic since 1946. Their first model being a two cylinder four stroke diesel powered "Model 25". Standard features included 6 forward and 2 reverse speeds, independent braking, and a differential lock, which was rarely seen on tractors at the time. LW Yarnold have been using Zetor Tractors since 1968. This page takes you through some of the history of Zetor Tractors. Zetor have been producing tractors since 1946, their first model being a two cylinder four stroke diesel powered "Model 25". Standard features included 6 forward and 2 reverse speeds, independent braking, and a differential lock, which was rarely seen on tractors at the time. Between 1946 and 1961, Zetor made modifications to the Model 25, and also announced a more affordable tractor - the Model 15. The Model 15 had a 15hp 1 cylinder diesel engine. Zetor also sold a Model 25 A, a more modern, comfortable version of the 25, and a Model 25 K, which was targeted at crop farmers who worked on flat land and wanted more ground clearance. Zetor announced a four cylinder 42hp tractor in 1955, which was named the Zetor Super 35. Later (in 1960), a larger model, the Super 55, which had a power output of 50hp, was announced. Standard features on the Super Series included a suspended front axle, a diff lock (inherited from the Model 25), an air compressor (useful for blowing up tyres in the fields), and Zetor even offered a drivers cab with a heater as an optional extra. 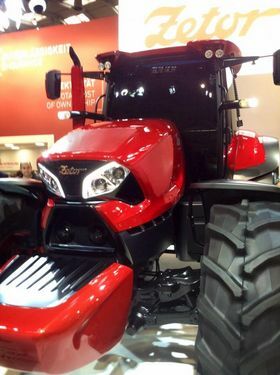 Zetor also offered a modified version of the Super Series, a tracked tractor, which was sold as the Super P.
In 1958, Zetor introduced it's first unified range. This meant that each tractor used common components, but ended up ranging in size, power and features. Over one million UR1 Zetor Tractors were produced. The Zetor 3011 was the first tractor to be produced in UR1. The 3011 had a power rating of 37hp at 2200rpm. It had a modern direct injection diesel engine, which was very advanced for the time. The tractor had ten forward speeds and two reverse speeds, with five of the speeds between 2.5mph and 7.5mph, the most common speeds for field work. Other models at the same time included the 2011, a less powerful version of the 3011. Specialist models included the 3016 and 4016, half tracked versions for use in snow and weak soil, the 3017, with a lowered centre of gravity, and the 2023, a narrow fully tracked version. Also, there was a 3045, which had 4WD (although the front wheels were only driven in "High box". 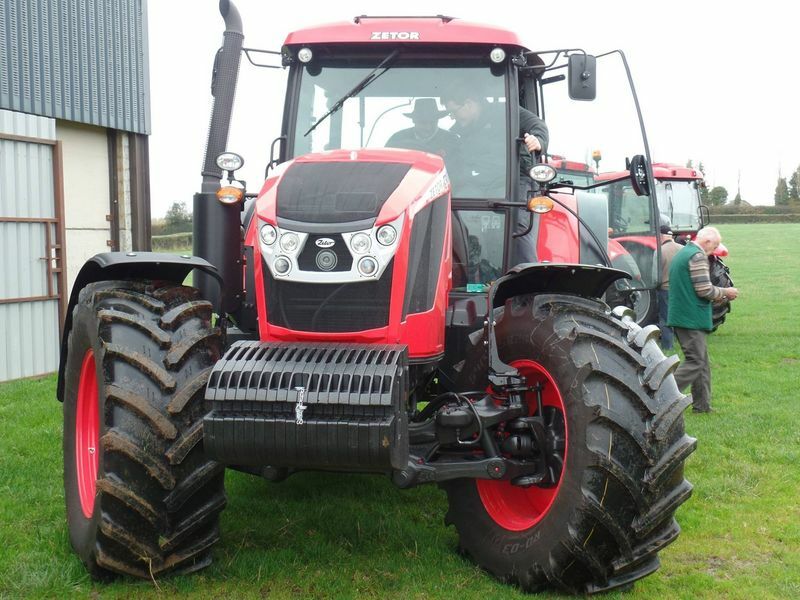 Finally, there were the 2013 and the 3013, which were narrow orchard tractors.. In 1966, a more robust and powerful model above the 4011 was produced, the Zetor 5511. In 1968, positive feedback from customers prompted the Zetor Engineers to update all "0" models to the "5" series - 3011 became 3511. The bonnets of these more modern tractors were square instead of rounded, and the tractor looked a lot more robust than it's predecessor. Again, in 1972, the tractors were upgraded. A review of the UR1 models was carried out, and on the agenda was more load carrying capacity and traction. The engines were stronger, the tractor was heavier and the front axle sported stronger hubs. The 5711 and 6711 had an optional extra of a torque multiplier, which doubled the number of speeds. If you applied the torque multiplier, your torque increased 23% whilst your speed decreased by 23%. When this option was fitted, there were 20 forward and 4 reverse speeds. The demand for even heavier duty tractors grew rapidly in the mid-sixties. The UR1 range of Zetors ranged from approximately 25 to 60 hp and were lacking sufficient robustness and power for the arable farmers in Central Europe. In 1968, the development of UR2, the second Zetor Unified Range, was completed. The UR2 was better known as the "Zetor Crystal" range of tractors. It was the first range of tractors ever produced that had a flatbed cab with an integrated roll protection system. At the time, the Zetor Crystal was probably the most technological tractor around. What other manufacturers offered as optional extras, or failed to offer at all, Zetor included on the Crystal range as standard equipment. Ten years after the first UR2 tractor was produced, Zetor introduced turbochargers to the Crystal range. The four cylinder engine, when fitted with a turbocharger, was rated at 100hp. The six cylinder version in comparison could be turbocharged up to 160hp. The Zetor Crystal series contained the following models: 8011, 8045, 10011, 10045, 12011, 12045, and the 16045 which was downtuned and sold as the 14045 in some countries (including England). In 1991 ZETOR added another updated range to its manufacturing programme under the designation UR III. The range consisted of tractors with an powers ranging from 70 to 105 hp. 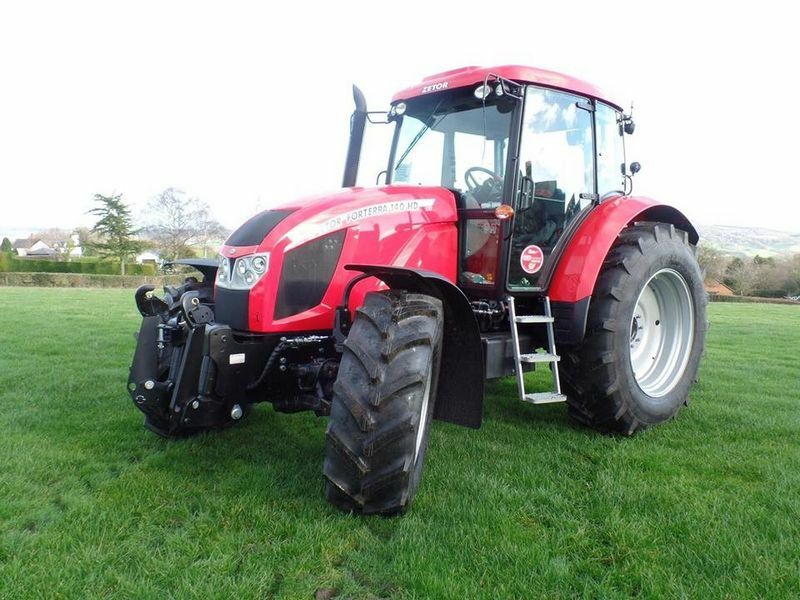 Models included the 7520, 7540, 8520, 8540, 9520, 9540, 10520 and the top of the range 10540. 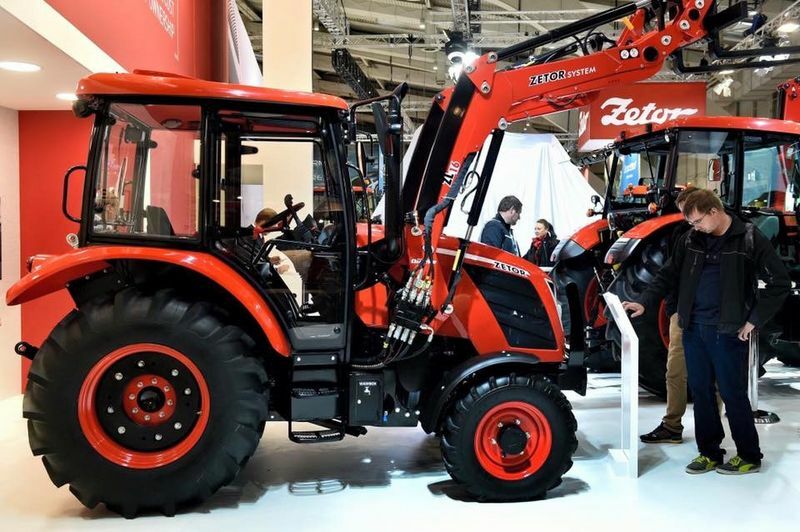 Two years later, Zetor presented a new update of the UR I range, known as the ZETOR Major. Models included the 3320, 3340, 4320, 4340, 5320, 5340, 6320, 6340, 7320 and 7340. From 1997 onwards the "Major" was gradually replaced by the new UR I range tractors known as the ZETOR Super under the designations 3321/41, 4321/41, 5321/41, 6321/41 and 7321/41. Now, Zetor offer eight ranges of tractors- The Major, Proxima, Proxima Plus, Proxima Power, Forterra, Forterra HSX , Forterra HD and the recently relaunched Crystal. 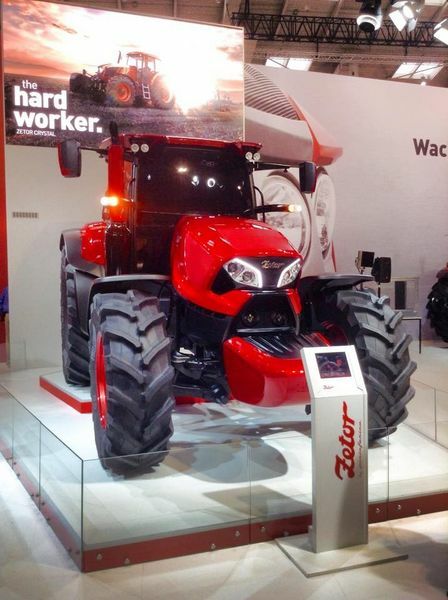 The Crystal is Zetors most powerful new tractor currently on the market. It is expected that in the future a new tractor, expected to have a power output of around 180hp, the "Maxterra", will be released by Zetor, although this is still speculative.